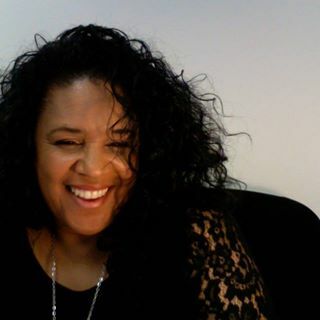 As America’s Crowd Funding Strategist, Dr. Letitia S. Wright, D.C, teaches workshops for Small Business Administration, California’s SBDC’s and is a Guest blogger for the Los Angeles Crowd Funding Examiner and other Crowd Funding sites. She has the fastest growing platform for crowdfunding education and project promotion in America. This is an often-requested summary response to inquiries about crowdfunding. According to Wikipedia, crowdfunding is the practice of funding a project or venture by raising monetary contributions from a large number of people, typically via the internet. It has been described as “the practice of raising funds from two or more people over the internet towards a common service, project, product, investment, cause, or experience.” As an industry, crowdfunding raised a total of $5.1 billion in 2013, and that number is projected to increase exponentially over the next few years. The crowdfunding model is fueled by three types of participants: the project initiator who proposes the idea and/or project to be funded; individuals or groups who support the idea; and a moderating organization (the “platform”) that brings the parties together to launch the idea. Everything from technology innovations, films, books, games, music, art, design, and nonprofit endeavors are packing the popular crowdfunding category of financing vehicles. Crowdfunding platforms are brimming with the hopes and dreams of many people in all walks of life who just need to place and share their ideas with a broader audience, for feasibility validation, support and ultimately funding. Hundreds or even thousands of creative projects may be offered on crowdfunding websites at any given time. Each campaign is independently created and and presented by the person or people behind their offering. The campaign ideas are developed by campaigners who have complete control over their projects and full responsibility to make them successful. Every campaign creator establishes their own campaign funding goal along with a deadline of up to 90 days that the campaign may be permitted to run. The length of time a campaign is offered may vary and most successful campaigns will fund well in advance of the maximum period. If visitors to a crowdfunding website like a campaign, they can become a supporter and pledge funds toward the campaign’s published financial goal. If the campaign succeeds in achieving the posted funding goal, the campaign owner will receive the funds, less payment processing fees and a small percentage platform fee. For campaigns that do not reach their published goal, the campaign owner may still elect to receive the funds collected, less payment processing fees and a platform fee. Crowdfunding is marketing, from the promotion of the initial concept to the delivery of the product or service. That’s where the electrical excitement engulfs the project in a glee similar to a “Race for the Cure” fundraising campaign. Heart-felt life-pursuits are passionately enhanced through the interaction of a supportive community. Converting interested readers to enroll themselves in your idea is key to transforming your community of connections into supportive dollars. Remember, nearly all of your connections with your readers happen behind a screen, so most of your supporters have never met you and probably never will. That means you need to establish your legitimacy solely through your campaign. Therefore, it is critical you envoke a personal buy-in as immediately as possible in the pitch. Visuals bring personality to your campaign, connecting on a personal and emotional level, quickly building credibility. Videos are an especially powerful aspect of crowdfunding campaigns. People are far more inclined to watch a short video (2-3 minutes MAX). Successful project videos are a good balance of entertaining, engaging, and informational. Videos can generate a solid understanding of the idea, and they also define the tone and ambiance of the campaign. The idea is to show the magnificence of your idea, not tell it. The better you can make readers understand, the more they’ll care. Caring loosens the wallet, and can inspire the reader to get involved as a contributing supporter. Crowdfunding has opened the project development and production funding gates. Entrepreneurs now have the tools to effectively present their funding needs to a large audience and capture every possible funding type, all in the same campaign, dramatically launching the ability to capitalize any new idea. While this doesn’t mean that every company will be funded, but it does increase, significantly, the likelihood that your or anyone’s new idea will get to market. This is definitively great news for everyone. The Wright Place TM TV Show interviews with the top Crowdfunding CEO’s have given Dr. Wright the insight needed to make crowdfunding easy for regular entrepreneurs, authors and entertainers. 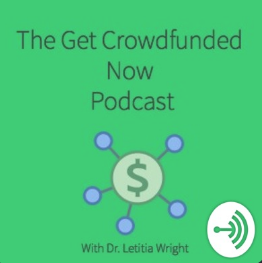 Dr. Wright has been the MC for several crowdfunding events over the last 3 years and is a frequently sought after speaker and panelist. She is the author of the upcoming book “101 Tips to Successful Crowdfunding: From Someone Who’s Been There, Done That and Got the Cash”.